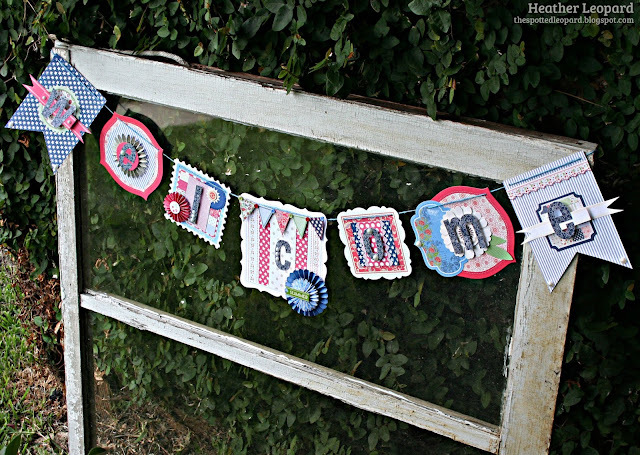 I've been dying to make a cute banner to hang from this old window I got for $3 at a garage sale. Apparently it came from a very old house, or was it a church? Yes, it was a church that was being redone in Galveston. I just love the chipped paint, texture and look & feel of it. I see lots of fun crafts hanging from it in the future. So that leads me to my first project to display on the window! I'm still not sure if I'll hang it in or around the house so for now, it sits against the vine covered fence just outside my front door welcoming guests that stop by. 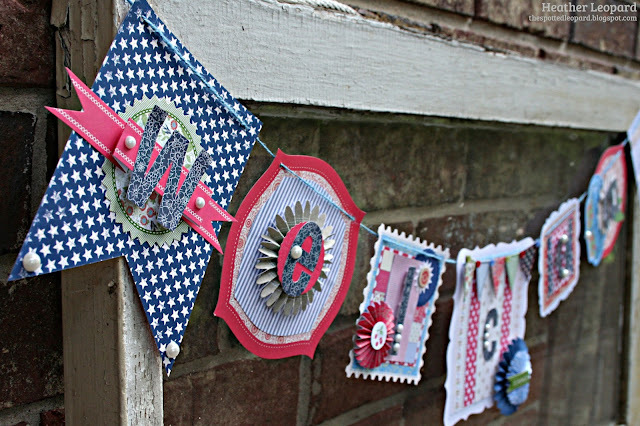 I just received a fabulous package from Little Yellow Bicycle contain their NEW Vintage Summer collection and was immediately drawn to the Decorative Edge Cardstock so when Liz asked me to create a project using decorative edges, I pulled them out, wondering what to do with them. I laid them out side by side to see which ones I liked the most and TA-DAAAAAA! A banner was born. Of course, so many other possibilities popped into my head but I kept coming back to a banner. I cut the letters to spell "welcome" using my CAMEO. I selected a dark, less patterny (is that even a word?) pattern to help it stand out from all the other patterns I knew I'd be adding them over. I pulled out all the deco cardstock edges and just fell in love with the mix of large and small cardstock designs. I laid them all out again and only had to add the two large flag/pennant shaped pieces on each outer edge (from my 6x6 pad) to complete the word "welcome". 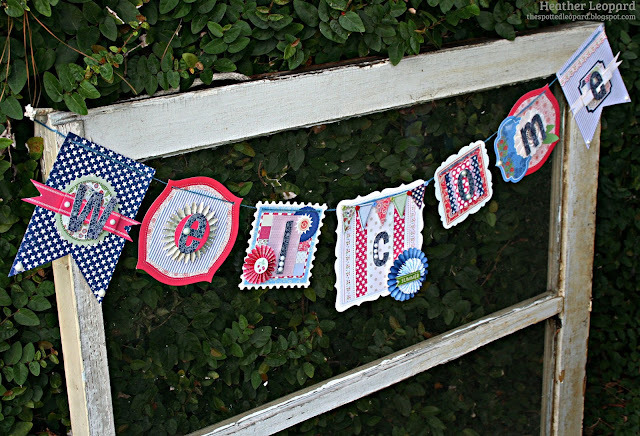 I stacked the small cardstock decorative edges over the large ones, added strips of papers over some of the decorative cardstock, layered on banners, rosettes and flowers from the paper crafting kit and then topped them with individual letters. I had to add a few sheets of paper behind some of the letters to help ensure they didn't blend into the background to much. The banner above the "C" is a lovely chipboard shape that fit over the card perfectly! We are soo ready to welcome summer, which officially begins on Friday, even though it's been a scorcher here in Cypress (Texas) for the past month)! That banner is so fun! Love all the little details you put into it! Super cute! Using the decorative edged papers was a really lovely idea. The whole piece looks very festive. How cute! Love the different sizes along with the different decorative edges. Great work! This is a beautiful banner, Heather! Love every piece of it. And your window is super cool. Have you picked the winner of your RAK from the PaperHaus post? this turned out totally FANTASTIC!! 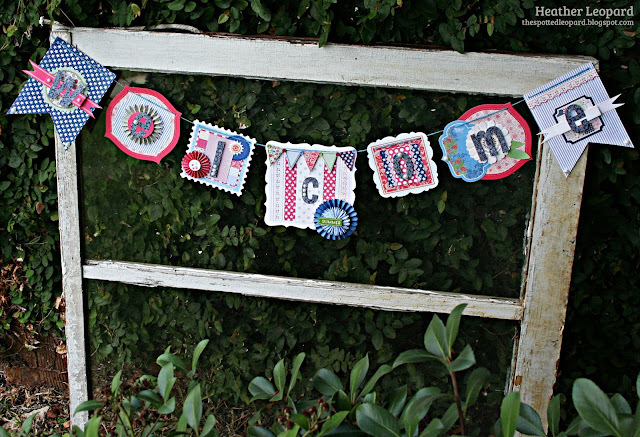 The supplies and the banner itself just scream summer and happy!! Thanks for sharing.